So…here we go. 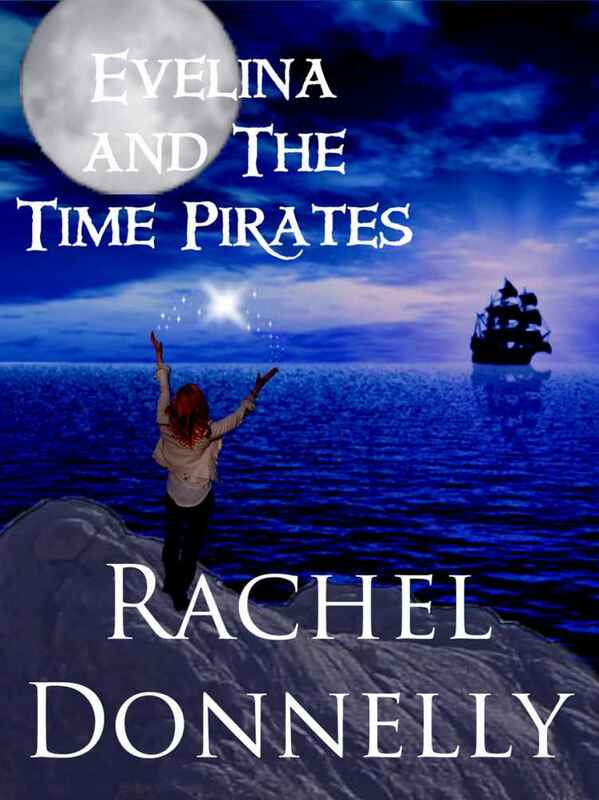 Today we have Rachel Donnelly and she’s written a pirate story, which is cool since I’m a fan of those Johnny Depp movies. But before I ask her questions, you should read this description of her novel. Evelina Crimm just wants to be normal. She has her life planned, until she spends summer vacation with two crazy Aunts and discovers she’s a Water Witch. Soon things get a little freaky and she’s living a double life, slinging hash during the week and dodging black magic spells every weekend. Not to mention a certain mysterious warlock she can’t seem to stay away from. Frankie Holler is on a mission to catch a Time Pirate and he isn’t above bending a few rules to do it, but teaming up with a Novice Witch isn’t part of the plan. Time Keepers work alone. At least, that’s what he’s been told, and he agrees, until he meets Evelina. He’s not much of a talker, but it sure is hard to keep secrets with her around. Rachel! Witches and Time Keepers. It sounds like you have a great imagination and your Muse must be doing a great job inspiring you. What’s the next project they’re helping you out on? I’m busy working on the next Evelina novel. Awesome. So are you more like Eveline? Or Frankie? Or another character from the book? Wow! Tough question. But probably Evelina, though with different magic. Ha! You know on my first Mission, this little kid thought that I was magic when I did something nice. I hope your magic is good magic. Evelina’s, too. Don’t get upset about this next question. *whispers behind a cupped hand* My author came up with it. Ready? What’s your favorite book of all time? The complete works of William Shakespeare. Yeah, I was the weird kid in English class. Yeah, but it’s okay to be weird. I only know a little Shakespeare: Romeo, Romeo, where’s the art Romeo? I never got it. Why was she looking for art when she had this swoony guy? Did you think Romeo was swoony? I like alpha males with a great sense of humor. Another tough one. Geez. It’s a toss up, between Janis Joplin and Freddy Mercury– two amazing voices. Awesome choices!! Both Emily Ward and Jack Blaine want to see Freddy, so maybe you could go together…like later on—much later on—when you all get to Paradise. Rachel I hope you’re ready to for confession time. What’s your biggest writing sin? Obsessive editing when I should be just spewing out the rough copy. Yep. You sound a little like my roomie, Mercy. Here’s my best angelic advice: spew, baby, spew. I’m gonna guess that you’re a rule follower with all that obsessive editing. But I’m required to ask this question–are you more of a rule follower or a rebel? I’m a rebel I guess. Really? I got that wrong. Are you sure? Why would you say that? I’m a follow your heart kinda girl. Oh, I get it and yeah, sometimes following your heart means breaking the rules. Good for you! Other than your heart, what inspires you? Wow these questions just keep getting harder don’t they. I’m glad it’s you having to answer them instead of me. I think there’s beauty and magic everywhere. You can’t buy the good things in life. People with the courage to stand up for what is right inspire me. All of those things are very inspirational to me, too. So, what themes do you write about or what do you want readers to take from your books. Friendship and courage. I believe standing up for what is right despite how it affects you is true courage. We all have magic within us, and it’s important to support each other on our journeys toward our dreams. I love that! And, it’s so truly true. Before we go, is there anything you’d like me to mention to your Guardian Angel? ‘Cause I totally have contacts. Cool. I could totally use some contacts. I’d just like to thank my Guardian Angels for getting me this far. And, to thank you so much for having me here today. Aww…Rachel, that’s really sweet. It’s been great getting to know you and thank you for the interview. I’ll be sure to pass along the message to your GA, too. May 10, 2012. Tags: author interview, book, confession, Evelina and the Time Pirates, guardian angel, inspiration, Rachel Donnelly, Shel Delisle, Winging It!. author interviews. Leave a comment.